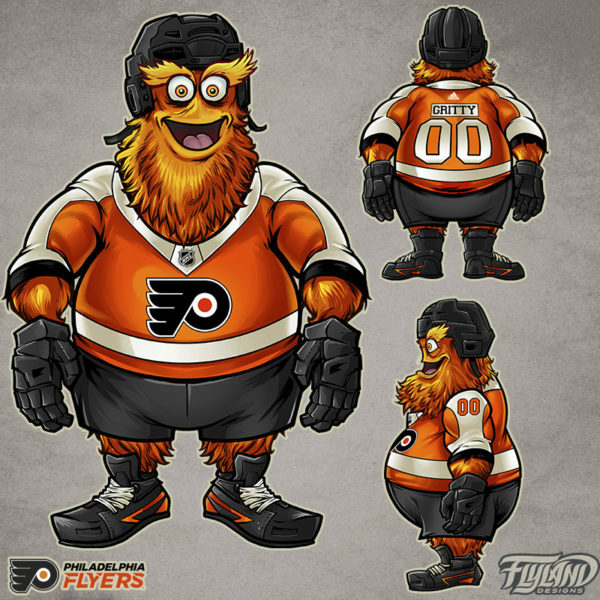 Wondering who designed the new Philadelphia Flyers official Mascot? Why, it’s me, Brian Allen at FlyLand Designs! 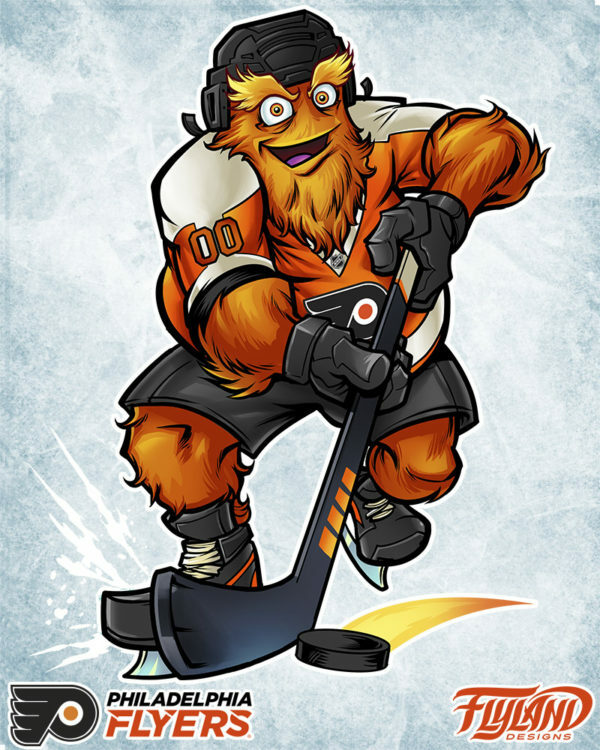 I was hired by the Philadelphia Flyers to conceptualize, illustrate, and design their new monster mascot. We began by sketching out over twenty different concepts, from bulls to bats, flying barons, monsters, and dragons. We decided on a big fluffy, friendly monster named Gritty. 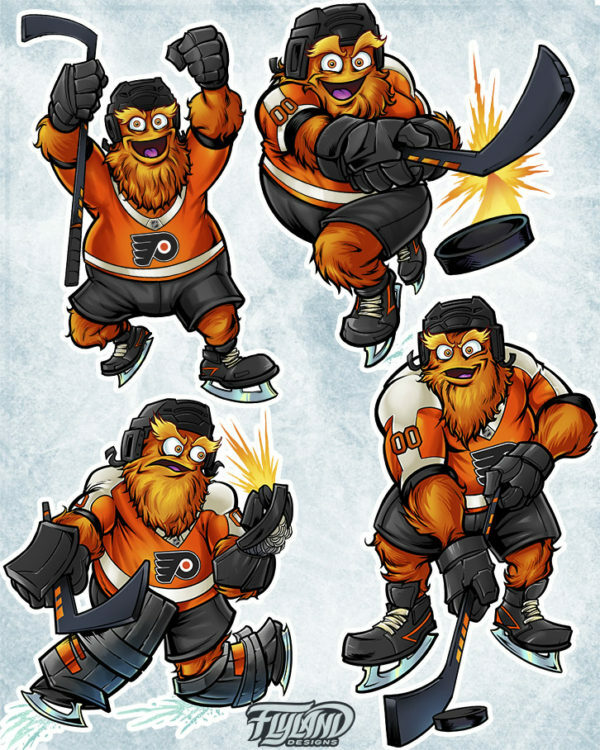 I then fine-tuned the sketch of Gritty over several iterations using Clip Studio Paint and a Wacom Cintiq – we experimented with adding wings to the mascot of all different types, and even a tail. Working digitally really helped speed things up and quickly experiment with different body parts and expressions. The front, back, and side turn-around illustration was then sent to Character Translations Inc., who used my drawings to create the costume in real life. It was such an amazing and humbling experience to see my creation come to life! A once-in-a-lifetime opportunity to be sure, to leave my mark on the NHL. 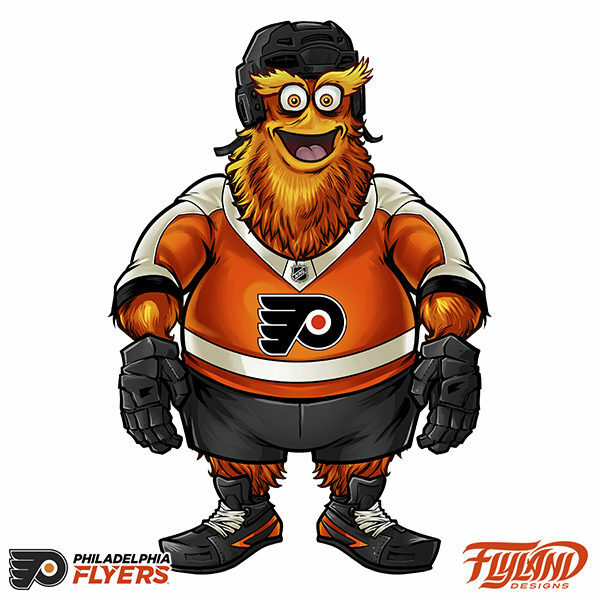 It will be interesting to see how the mascot is received among fans – the Flyers were one of the last teams to get a mascot, and some of the fans have resisted. I hope that they like it, or I may never be able to show my face in Philadelphia again! The team was great to work with, and even sent me and my family to a game to meet Gritty in person!